A sweeping effort designed to give Californians more information about the biggest donors to ballot measure campaigns was signed by Gov. Jerry Brown on Saturday, a major victory for groups that insist the current system fails to help voters make an informed choice. The law will simplify the wording on political advertisements that discloses the top three donors of $50,000 or more to a campaign. 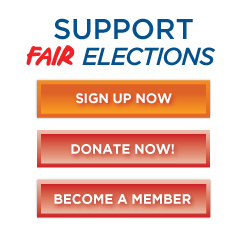 It also changes existing state regulations on when and how to disclose "earmarked" donations in campaign finance reports -- donations that are bundled together by a group such as a labor union or other membership organization. "Transparency in elections is critical to our democracy and AB 249 brings that transparency to California, giving our voters the opportunity to make informed decisions based on honest information," said Assemblyman Kevin Mullin (D-South San Francisco), the bill's author, after it was sent to Brown in September. The governor's decision to sign Assembly Bill 249 comes just weeks after the chairwoman of the state Fair Political Practices Commission raised concerns about the earmarking provisions, suggesting the bill would make it harder for investigators to track funds that were illegally gathered by a single organization. Versions of the proposal, known as the California DISCLOSE Act, were debated but ultimately defeated the past seven years in Sacramento. Supporters said it was important to change a system where voters were routinely being misled about who was paying for ballot measure campaigns. Last November, some $473 million was raised by backers or opponents of the 17 propositions on the statewide ballot. The coalition of activists that helped draft AB 249 called it the strongest campaign finance disclosure law in America.